Fast forward 7 years and I would put curtains on every wall in my house if I could. Isn’t it ironic how things change! 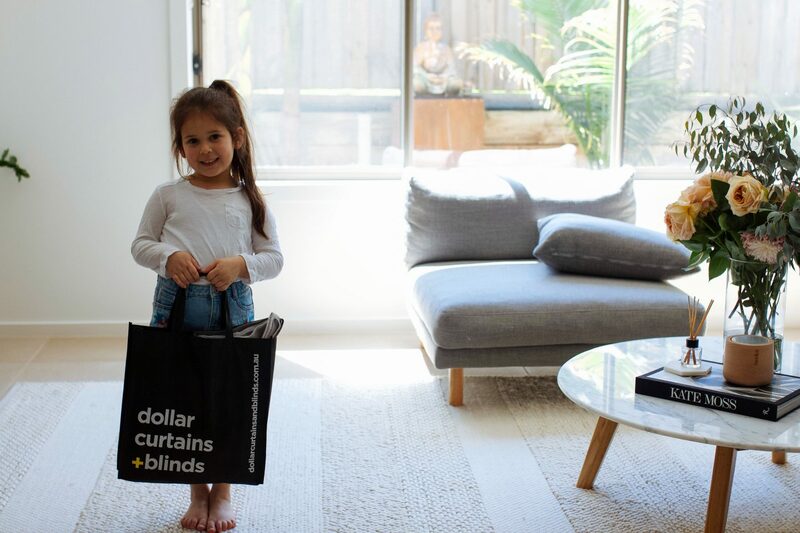 Back in June 18, I had the most amazing sheer curtains installed by Dollar Curtains + Blinds installed in Avery’s nursery and since that moment I have been dreaming of more sheers throughout my home. 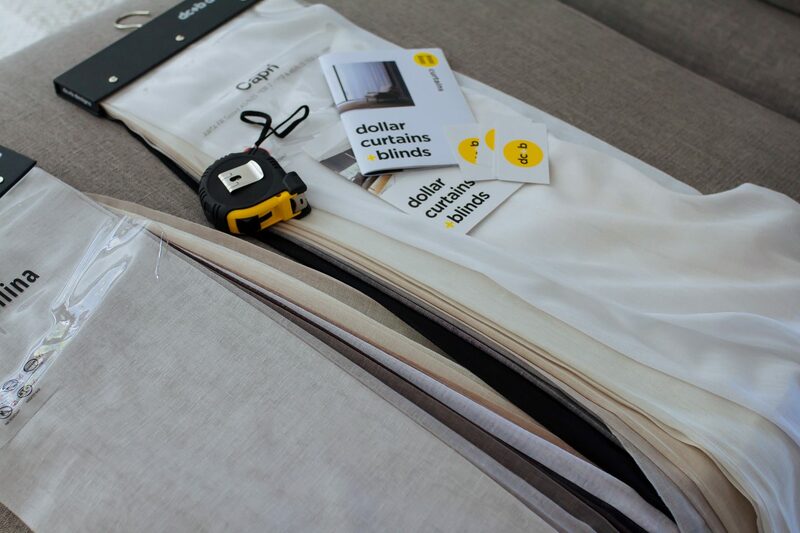 So, after convincing hubby that the sheers were 100% necessary to improve our quality of life 🙂 I had the people at dc+b ( Dollar curtains + Blinds ) come to our home to give us an in-home consultation for the dining, lounge and master bedroom. 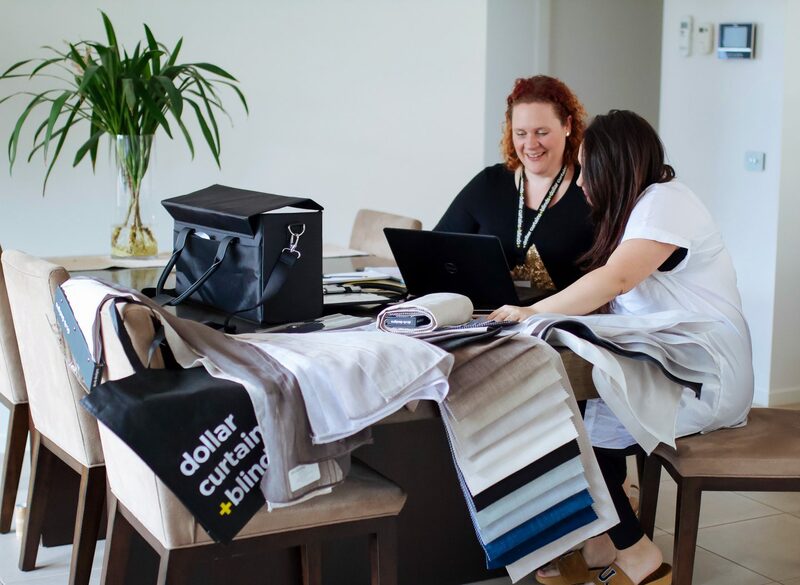 The best part is that dc+b can print your invoice/quote right then and there in your home! Amazing right? 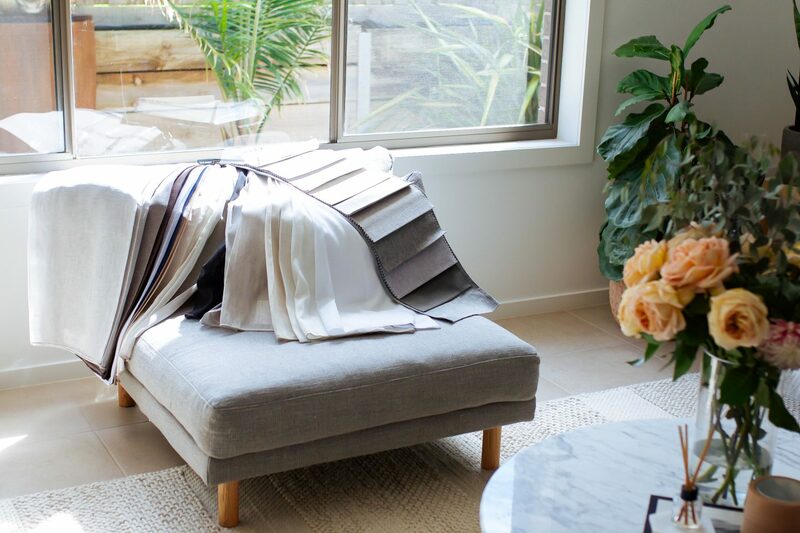 My first tip when deciding on window coverings, whether they be sheer/block out curtains or roller blinds, is to do a little research on which style you prefer and what colours you’re leaning towards. 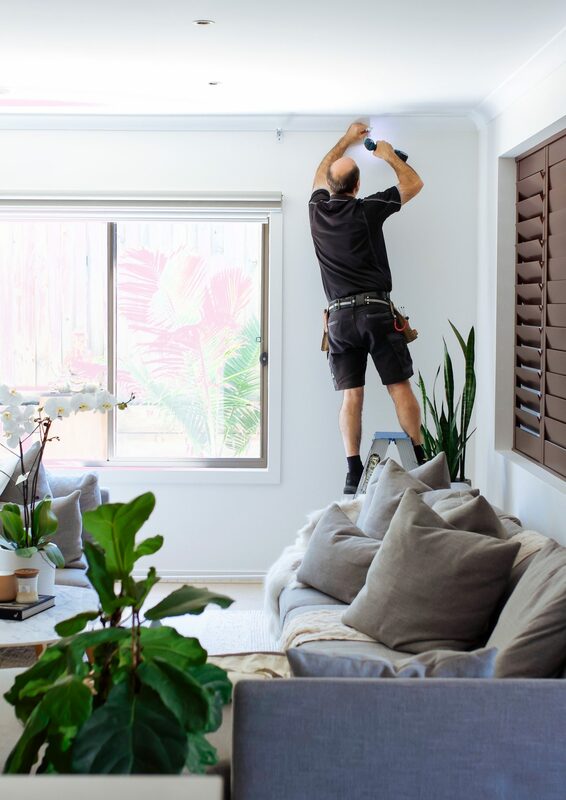 However, in saying that, the consultants are FABULOUS at their job and give you a lot of advice and recommendations as to what will best suit your space. We had the pleasure of having Fleur from dc+b come out to us and help us with everything. She was amazing and so so patient, especially since I could not make up my mind! I put a little flatlay together when I was working out what colour sheer to go for in the lounge area. Adding the rug, a cushion from the couch in that area and the roller blind swatch (previously installed by dc+b years back) That way, seeing it all together made it easier to visualise with the sheers. 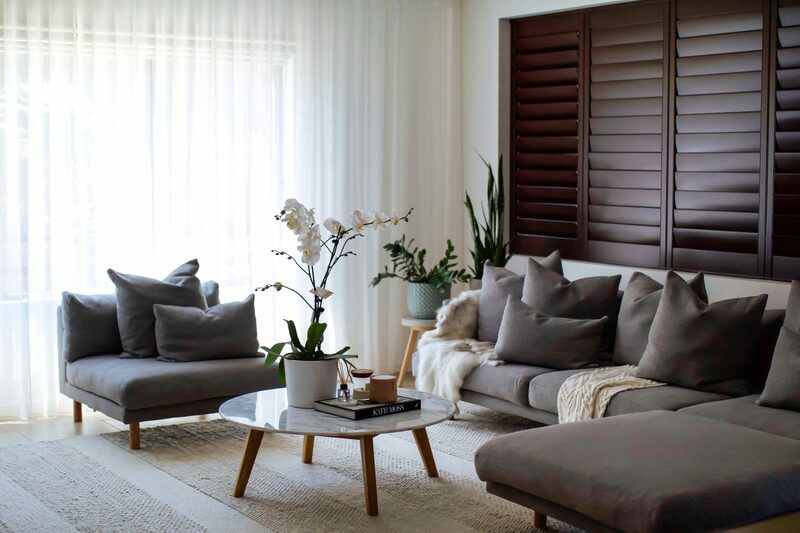 I mean to think I’ve been living in this room without sheers for so long… What was I thinking!! 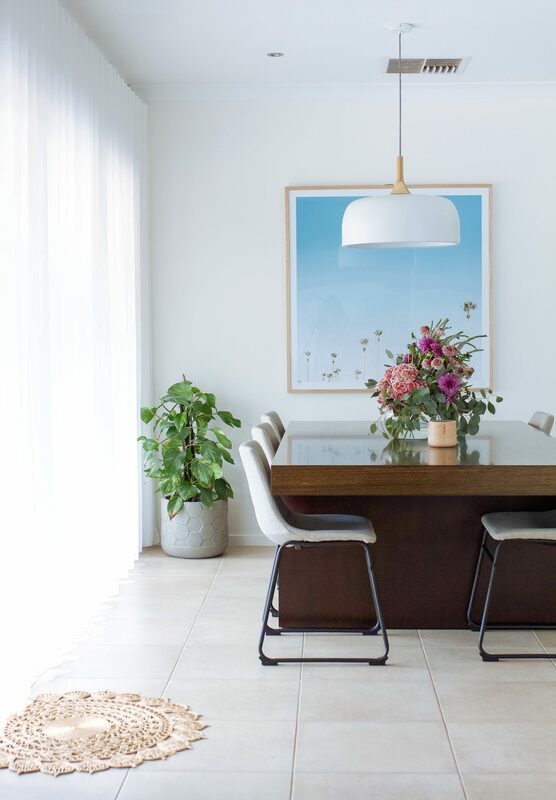 I gave this area a little makeover with new chairs, pendant light and a gorgeous picture. 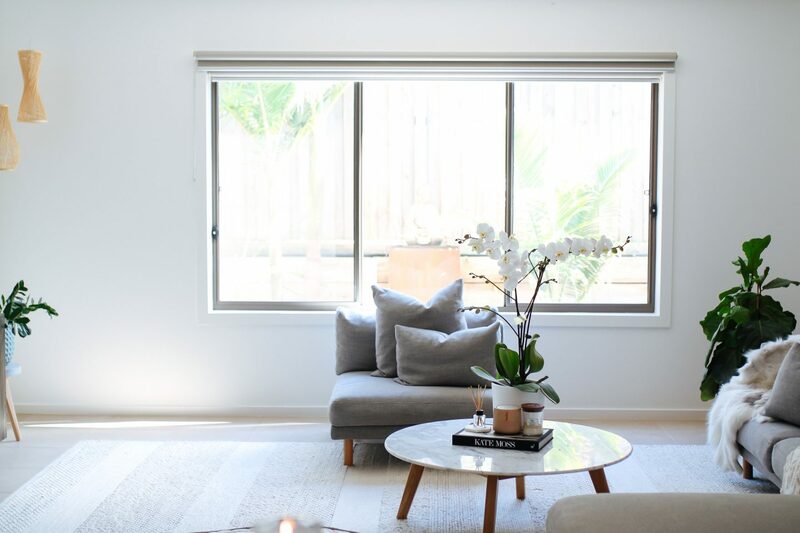 It now looks fresh and new and to say I am so in love with this space would be a major understatement. I am so so happy with the way these two rooms turned out. 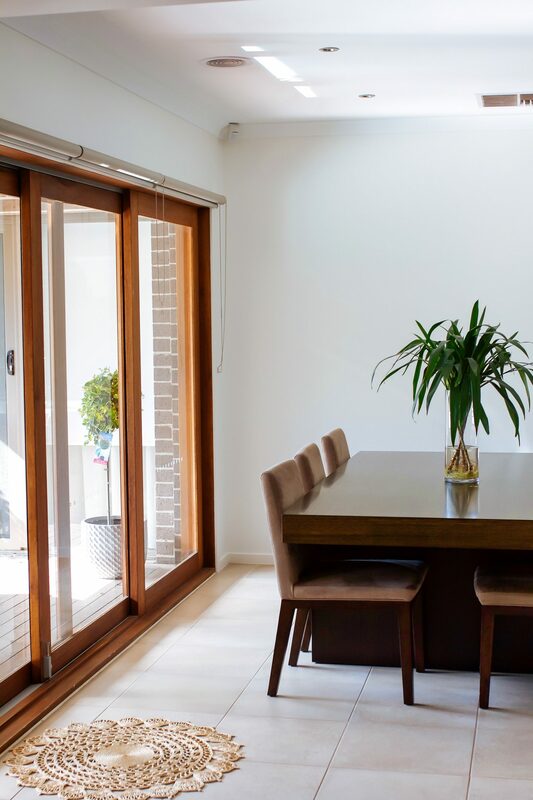 The sheers change the look of the house. 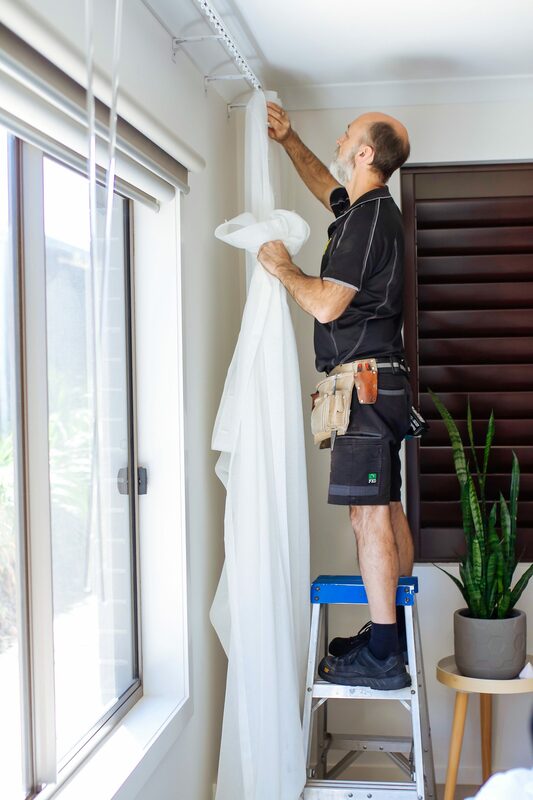 They create a softness and elegance to the whole living space and as we chose to do the sheers from under the cornice, they have added height to the walls, making the entire home look bigger. And the beautiful diffused light is so incredible.. 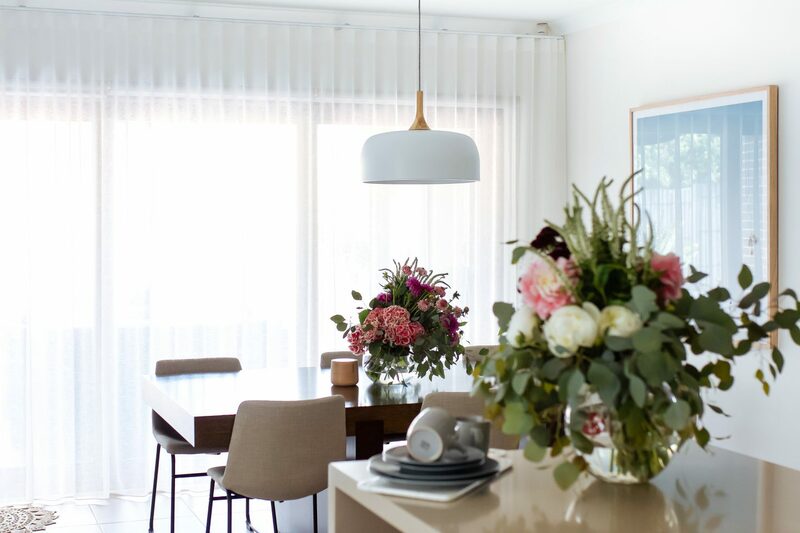 I chose the same colour sheers for these two areas because they are both in one open living space in the home so I wanted them to flow. 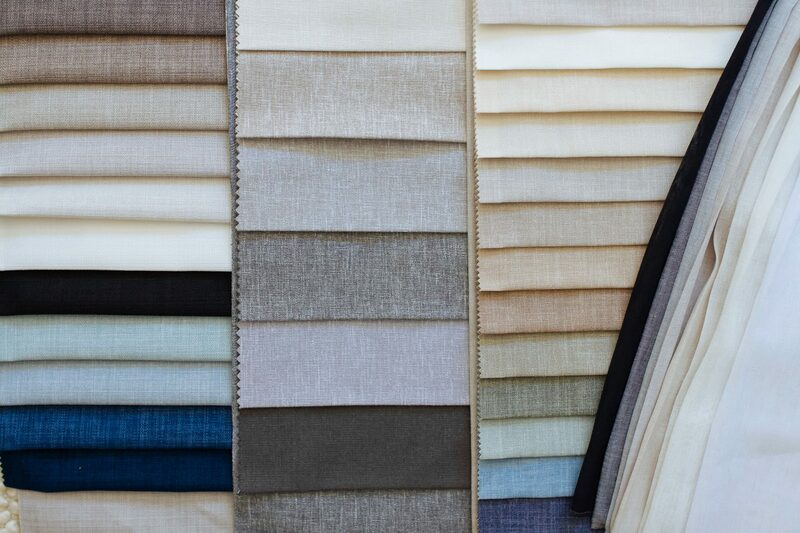 We went with a wave fold in the colour “Ballina Pearl” which is a dc+b fabric. 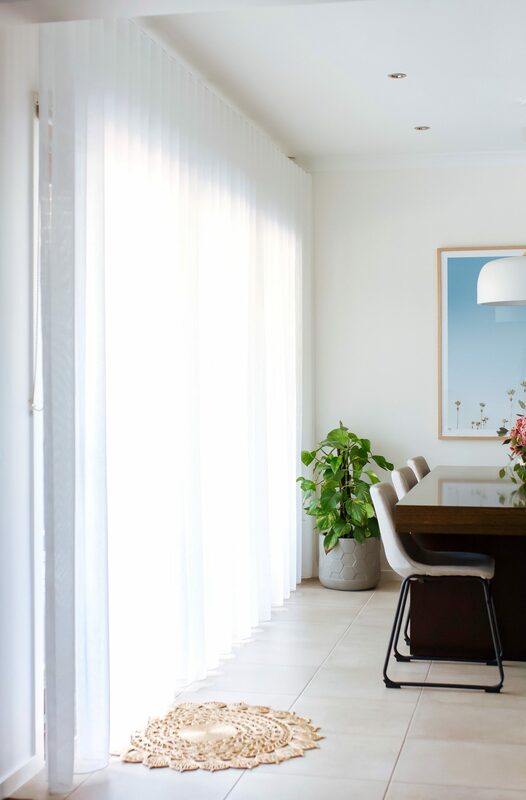 It’s a beautiful soft white colour that went great over the roller blinds I already had (roller blinds fabrics are Vamp (block out) + Tempo (sunscreen/transparent) ) over the stacker door and the window in the lounge. For the dining we did a right stack (meaning the sheers can be pulled all the way over to the right) and for the living room we did a centre close with free draw (they can open in the middle and/ or stacked on either side of the wall) The sheers hang just under the cornice and finish a few cm above the floor, giving the height illusion which I adore. 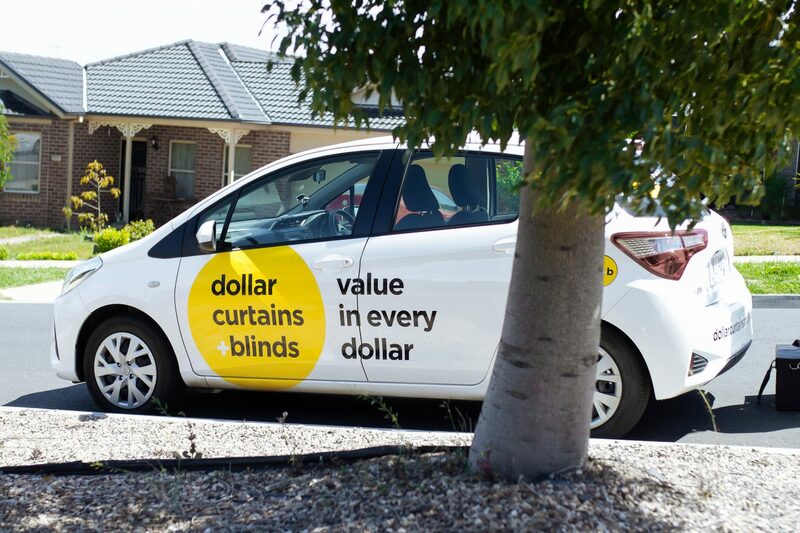 If window coverings are something you are looking into for your house, I can HIGHLY recommend Dollar Curtains + Blinds. The in-home measure and quote is so convenient. 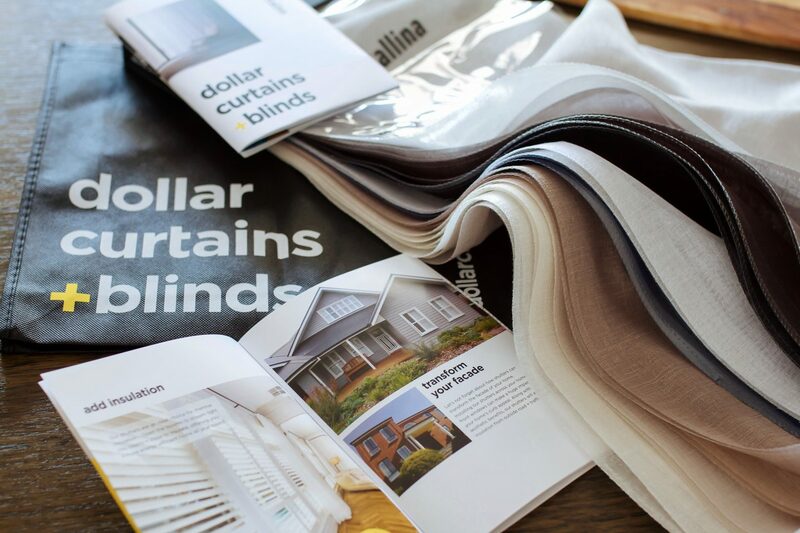 There is no back and forth, they will print the quote for you right in your home so you will know exactly what you’re looking at. 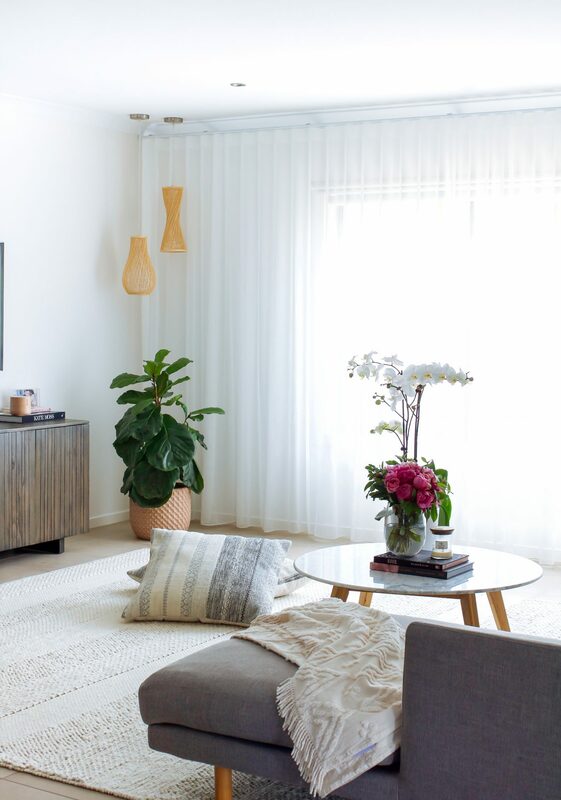 Adding the sheer curtains to these areas was the perfect finishing touch to the spaces! They look SPECTACULAR!!!! oh and wait till you see my master bedroom 🙂 I’ll have that blog up in a few days. All images were taken by Krystal of House of Harvee. 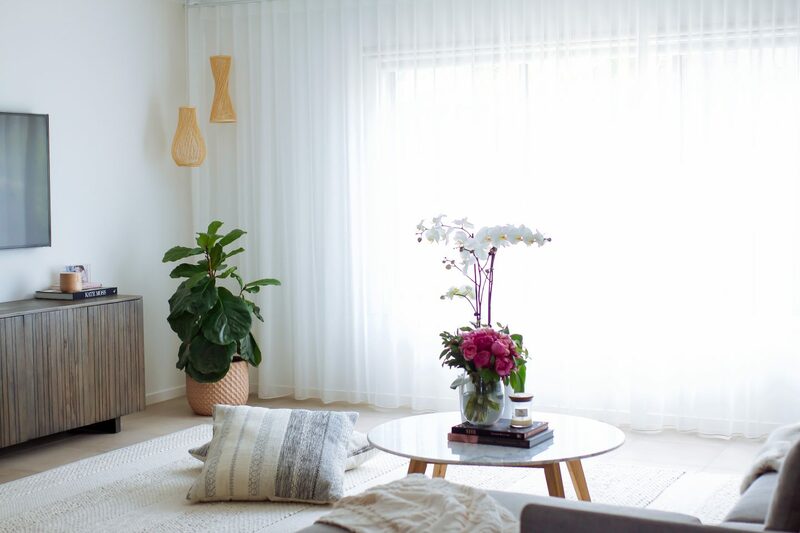 Next Post SHEER CURTAINS ARE LIFE.. Absolutely beautiful. You have a wonderful eye for style. Love it. 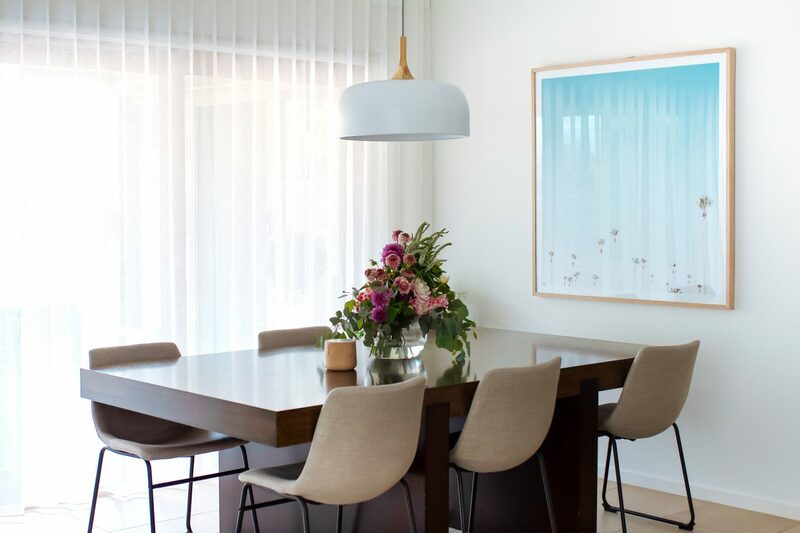 I love love your living dining area! 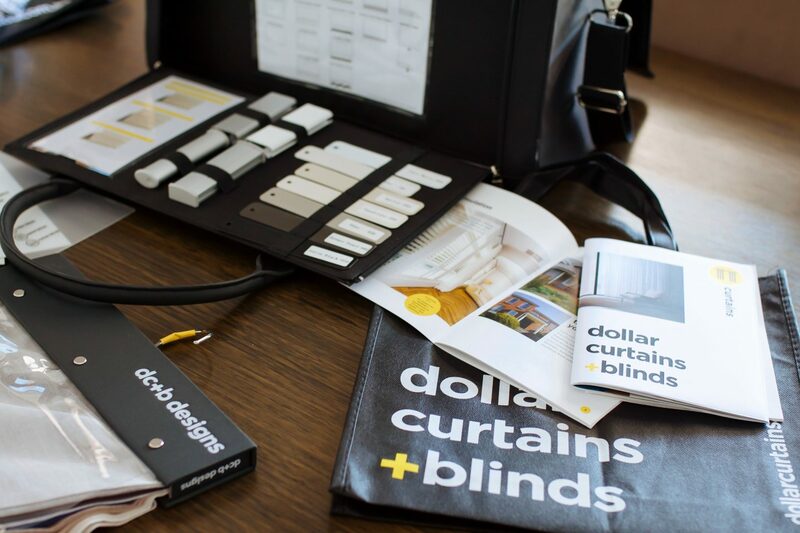 We are building now and am totally going to look up dollar curtains and blinds. Can you please tell me where you got your dining table and chairs from. That is exactly what i have been looking for . Thank you so much and tour family is just so beautiful. “Working with Krystal was, and continues to be, an amazing experience. 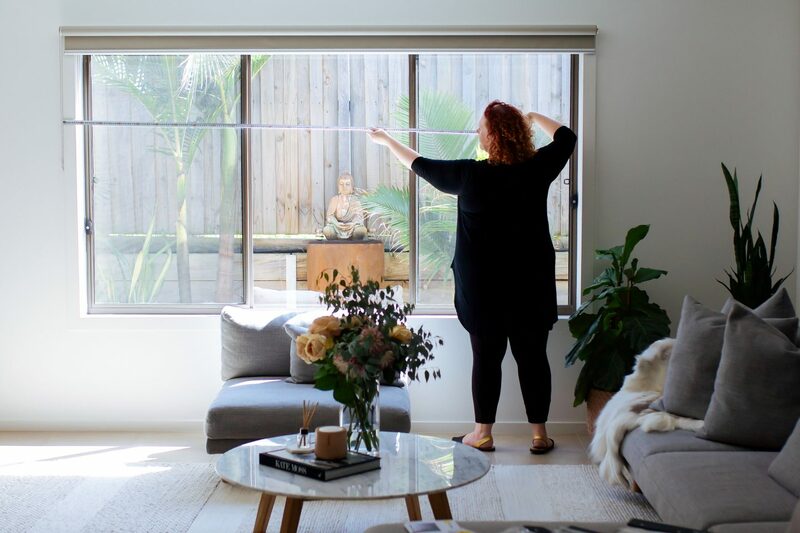 She showed such care in showcasing my toys in a beautiful, dreamy nursery she had styled. She ensured the styling fitted perfectly with my brand and desired aesthetic, and sent me a range of eye-catching photos, where my product was the hero of the shot. I could directly link a huge boost of over 400% in sales after she and I first posted her pictures on Instagram as well, which was so exciting to see! “Krystal has amazing attention to detail. 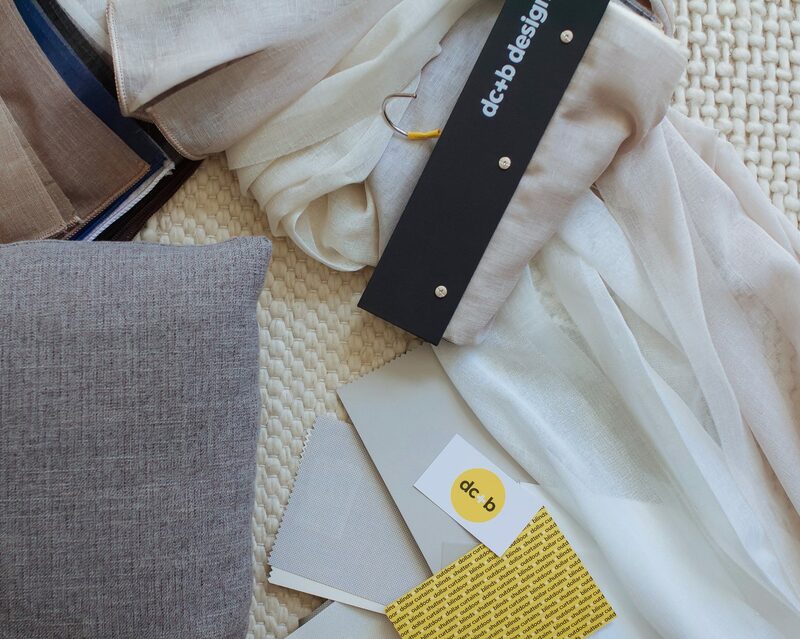 She has a natural flare for interior styling and her talent sure does shine through her work. Not only is she creative, she’s also a friendly and kind hearted person who is always willing to help. 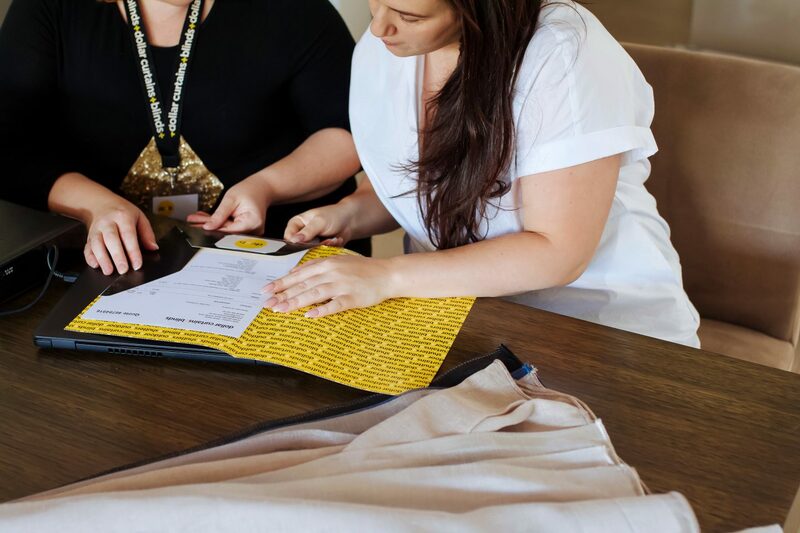 “I would like to thank you for the wonderful job you have done in styling Schmooks new product range. It has been an absolute pleasure to work with you and I commend you on your high level of professionalism and prompt turn around time. Your eye for detail and knowledge of product styling has produced a beautiful portfolio of images which perfectly captures the style of our brand. The images have been well received by our customers on social media and have played an integral role in boosting sales. All images are the property of Krystal Giardina, House Of Harvee and must not be used or published in any way without written consent.